John C. Fernando is Firn, a young beatmaker, poet, & philosopher from Brooklyn, NY. His life, and his untimely death on March 19, 2011, at the age of 17, has inspired much expression from the artistic community. "I had the very good fortune of watching my nephews John and Joe grow up in Brooklyn, also the birthplace of WordSound. As Johnny got older and started producing his own music, I looked forward to mentoring him and providing support, encouragement, and guidance. But kids grow up fast, and he was way ahead of the curve. I wanted to introduce him to all the seminal hip-hop of the late 80s and 90s that I grew up with, only to discover that Johnny knew and loved that stuff already. When I listened to the tracks he was churning out from his bedroom studio, I was even more astounded at his degree of proficiency as an MC and producer. Skills that had taken me years to develop, Johnny seemed to already possess. He had a natural ear for sounds and a sensibility far beyond his years. I was so bowled over by his music, in fact, that shortly before he died, I asked him to make a compilation for me to put out on WordSound. He never got a chance to put it together but his father and brother did, and this is what you hold in your hands right now. 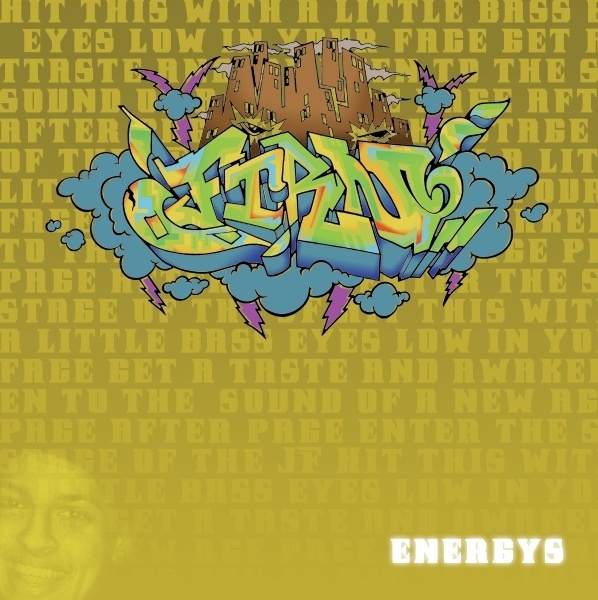 Firn/Energys is Johnny speaking to us from another dimension—The Other Side.